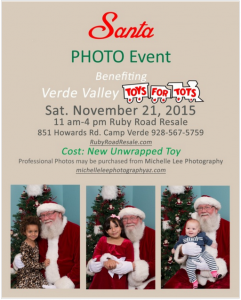 Bring an unwrapped toy for Toys for Tots and meet Santa! 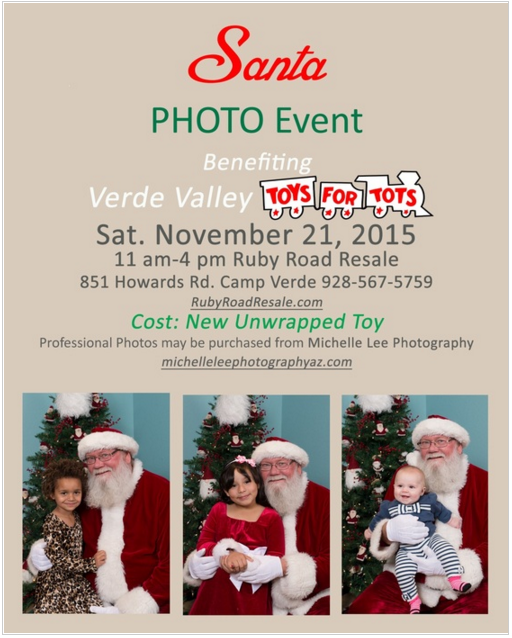 Michelle Lee Photography will take a special Santa picture with your little ones that you will treasure for a lifetime. 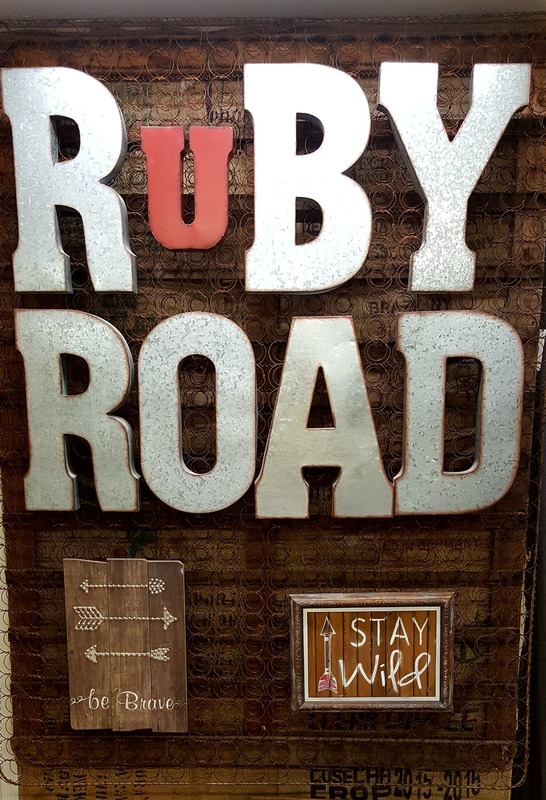 Get a head start on Christmas shopping while you are here! We have markdowns throughout the store. Remember Santa is making his list and checking it twice! !